I’ve not had the time to travel lately. I’m hoping to make a few small trips at the end of the month but work and home life have kept me occupied. 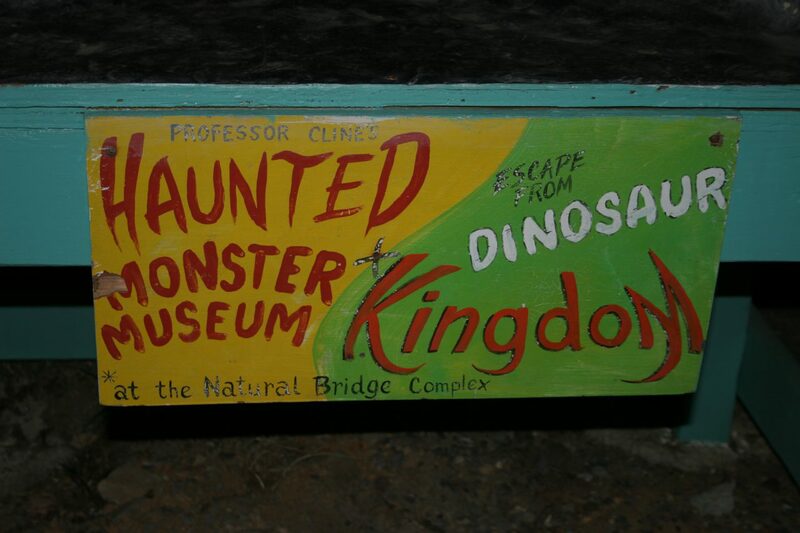 Since I wasn’t able to travel to an exotic location, I decided to try and bring an exotic location to me! Honest, I’m not trying to turn this into a food blog, I just feel like I need to let people know I’m still alive. For the 3 or 4 of you that read this, I promise I’ll be annoying you with more inane stories soon. 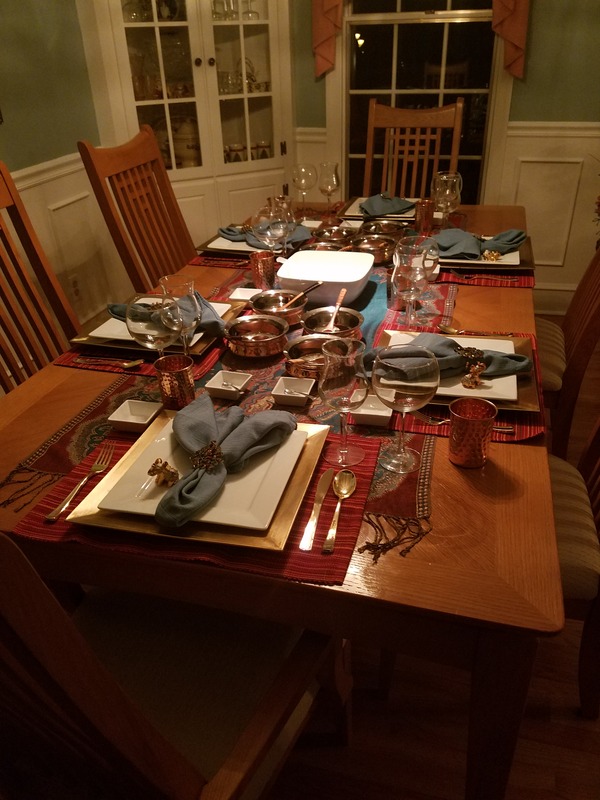 For now, enjoy my Indian Dinner Party that took place November 25th, the Saturday after Thanksgiving! I was an event coordinator for 7 years and I’ve found that planning events reduces my anxiety. Since the 2 years of planning my last vacation is over, I’ve begun planning silly dinner parties. I had fun with mustard night, so I upped the ante and went with an Indian theme. Overall I think it was successful and people happily took home leftovers. Like my road trip, I probably spent too much time in planning. For over a month I researched different dishes for appetizers, main courses, side dishes, desserts, and drinks. Once I had my menu fleshed out, I started practicing. I love Indian food but only had slight experience cooking it. Thank you to all my taste testers who could have died in the process! I also spent that period shopping for my place settings. I used some things that I already had (dishes, napkins, and glasses) but also loaded up on a bunch of new items I’m happy I now own. The weekend before the event I put everything out and totally impressed myself! 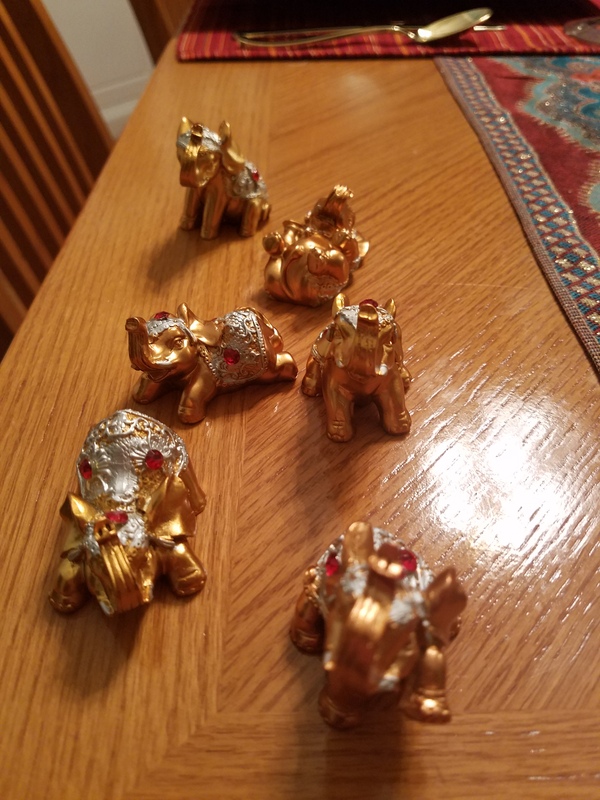 The little elephants were gifts for my guests and are suppose to bring good luck. 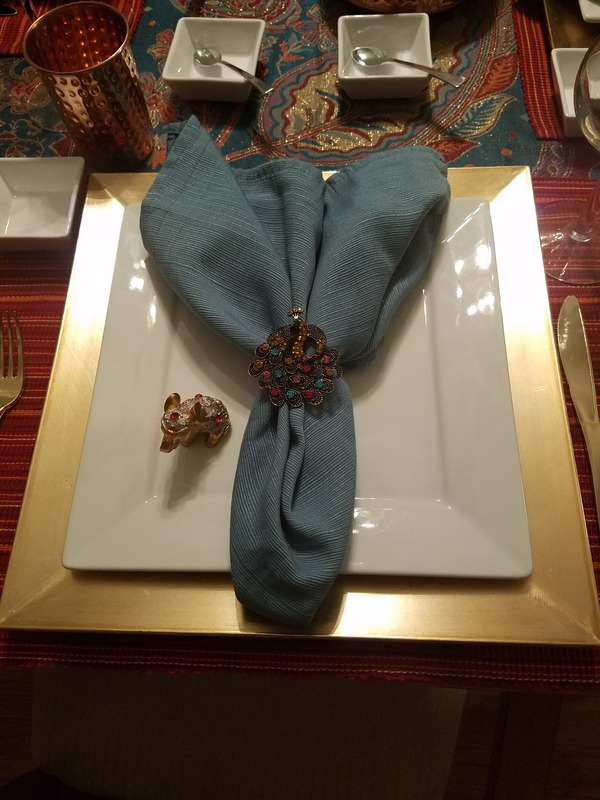 Also how awesome is that peacock napkin ring?! If you enlarge the photo on the right you can better see the hammered copper bowls and cups I bought. Also the gold flatware is plastic (shhh, don’t tell!). One of my best friends is mostly vegan and I’ve had bad luck cooking for him in the past. Why would I ever think vegan creme brulee or French toast would work? Fortunately Indian food is full of vegan and vegetarian options. I think my menu had a good balance of vegetarian and meat options. The appetizer was my first vegan option of the night and one of the biggest hits. Simple veggie samosas with the options of green chutney and/or a sweet and spicy tamarind sauce. The final dishes starting at the bottom left and working clockwise are tandoori chicken, chicken tikka masala, navratan korma, and an Indian-Italian fusion pasta. The korma was vegetarian and the pasta was vegan. In the bottom of the picture is a spicy corn chaat that didn’t turn out very spicy this time. It was still good though! Here’s a confession I shared with my guests. I tried and tried to get the korma right. I played with recipes and fussed with the spices over and over. Ultimately I couldn’t get the taste right. Being that it’s my favorite dish, I went to my favorite restaurant and picked up 3 orders. I will perfect it someday! As punishment for failing in my korma game, have a stupid picture of me setting the table. I think my desserts worked out well but the thing is that every recipe for Indian desserts that I found are super sweet. They must have mega-sweet teeth (tooths?) over there. 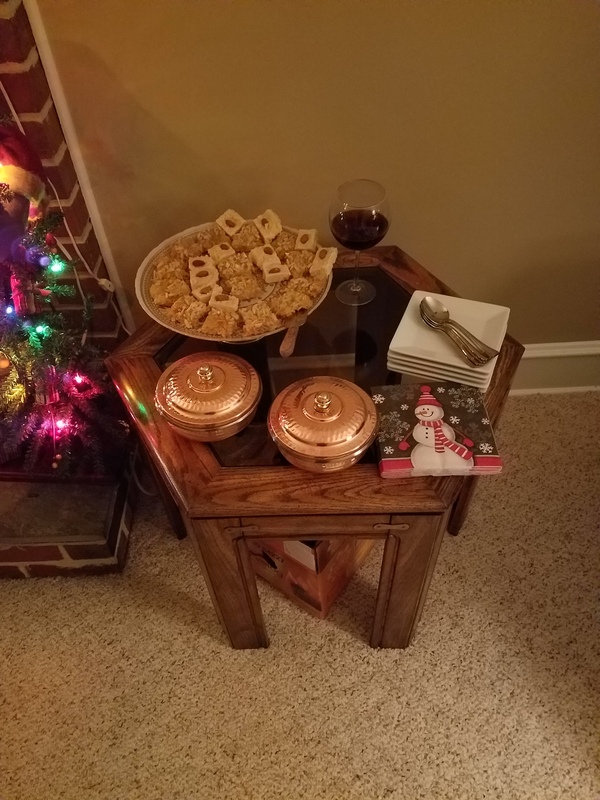 On the beautiful platter below (thanks TJ Maxx!) 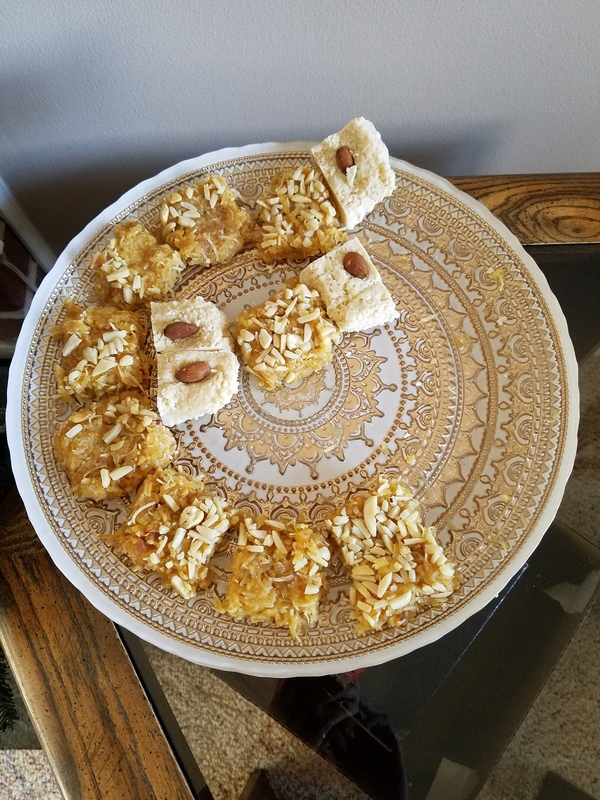 I have almond burfi and apple coconut burfi, both vegan friendly. One came out a bit hard and the other a bit soft but I enjoyed them. I loved the apple one in particular but the sugar content was intense. In front of the burfi, in those awesome bowls, is carrot hawla. This is a vegan friendly dish that took me hours to prepare. In the picture below, the pot on the left is ready to cook in a pan for a few minutes but the one on the right had just started. I had to wait for all that almond milk to evaporate without boiling it. Hours man, it took hours. And please notice the spilled mess all over the stove. This dessert was not worth the effort. Lastly was the kulfi, a kind of pistachio and cardamom ice cream. Again it was good but so super sweat. In my rehearsals the flowers looked creamy and beautiful. Of course on the day of the dinner all of the nuts fell to the bottom of the mold and made them look dirty. Oh well, even dirty looking ice cream is tasty. And serving it in an early 80’s champagne glass? Classy AF. Hope you enjoyed my stay-cation to India! Well it is about time! The food was awesome. Thank you again.